I’m making tshirts for Boo’s party. I am loving myself sick in the one for me. I thunk it up all by myself. *gaffaw* Oh how I crack myself up. 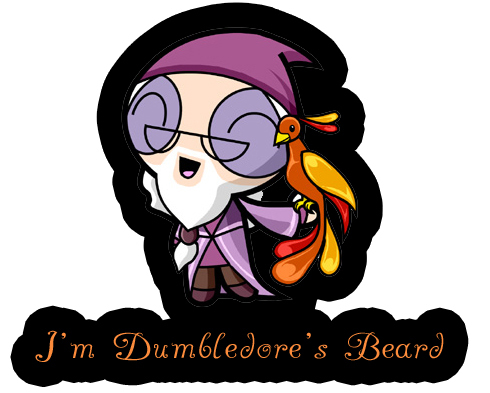 For those more delicate types that have no idea what this means…..
J.K. Rowling announced recently that Dumbledore is gay. A beard is a woman that hangs out with a gay man as a decoy so people don’t know his sexual orientation. How did I miss Rowling’s announcement? Aha, I get it now. cute. rofl @ you lovin’ yourself sic in that shirt!! You are a clever bunny kelley! Wow. Well, at least we still have Gandalf. Hey! Can I have a tee shirt?! Saw your comment at Avi’s, so I had to come check it out – LOVE IT!! TOO funny. Great shirt. You are all so amazingly artistic.The only thing I can draw is a tree.The brown stick/green lollipop kind. No blood, no tears, little bit o’ bitchin’ « magneto bold too! Previous post: Too is my hero!